Solo: A Star Wars Story comes at a bit of a difficult time for Star Wars, although most of the franchise’s issues have been vastly blown out of proportion. All of the new films have been commercial and critical successes, grossing over a billion dollars each (with The Force Awakens becoming the 3rd-highest grossing film of all time) and have connected both with longtime fans as well as a new generation eager for their own Star Wars stories. But there have been bumps along the way for Disney, who took over the reins from George Lucas in 2012, magnified by a fanbase that is vocal and demanding, occasionally to the point of absurdity. There was an outcry when decades of Expanded Universe stories were struck from the canon, giving Lucasfilm and Disney a clean slate to start fresh with their own stories and timeline. The Force Awakens was an unprecedented smash, seemingly designed expressly to please longtime fans, but it had its detractors who complained that it was basically a rehash of A New Hope. Rogue One was likewise a hit, but stories of massive reshoots led to (untrue) rumors of a production troubled by interference from Disney, while some fans found the characters to be less compelling than the original heroes or the new trio from The Force Awakens. Then The Last Jedi dared to be different and bold, and critics responded with enthusiasm, but a vocal minority strongly objected to how the film handled Luke Skywalker and planned boycotts and sabotage of the film’s online ratings. The Star Wars fandom has never been more divided, and it has become impossible for the artists behind these films to please everyone. Of course, that was never really possible, but the internet magnifies the voices of the angry while ignoring the voices of the masses who seem to have generally enjoyed everything they’ve been given so far. 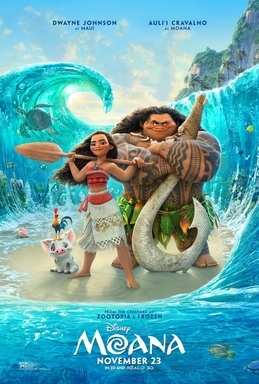 We live in an age where fandoms increasingly claim ownership of the things they love, and the expectation has grown that studios have an obligation to deliver exactly the film that each individual wants, just as they had always imagined it in their head, regardless of the fact that there are thousands of different viewpoints about the “correct” direction of the franchise. These people want to only focus on characters from the original trilogy, those people want to honor the prequels, others just want to see the new heroes. These people want family films, others want R-rated “adult” movies. These people want movies about the Force and the Jedi, others want to spend time in the world of bounty hunters and smugglers. Some want Old Republic movies, others want to fill the gaps between the prequels and the original trilogy, while more would rather see what happened after the fall of the Empire. Some want the movies to have a political side, the way George Lucas intended, while others take any instance of inclusive representation of women, people of color, or LGBT individuals as a “SJW” or “Feminazi” agenda from people who only want things to be “PC”. Star Wars is such a broad franchise, with so many diverse fans, that no movie will ever satisfy everyone. Yet everyone expects every movie to satisfy them personally. It’s a lose-lose situation. All of this is to say that Solo: A Star Wars Story, much like Avengers: Infinity War, does not exist in a bubble, and it’s impossible to try to completely separate the film from the context in which it exists. Solo comes in with its own set of burdens that could potentially threaten its success alongside the current state of the film industry and the Star Wars fandom. Its production featured the departure of its original directors, Phil Lord and Christopher Miller, partway through filming over “creative differences”, leading to Ron Howard stepping in to finish the film, while early negative fan reactions to the film’s lead fueled rumors of acting coaches and major concerns by Disney. And then there’s the constant talk that “nobody asked for this,” that a film about Han Solo’s origins was not something people particularly desired to see. But my goal is always to take each movie at face value, judged not on everything that went on behind-the-scenes, or the prevailing winds of the current internet conversation, with the hope of enjoying it. The fact that Solo works pretty well is a testament to the creative forces behind it, as well as the guiding hands of producer Kathleen Kennedy, who has stuck to her guns as the president of Lucasfilm and who has a vision of the types of Star Wars movies she wants to see made. Solo is a fun adventure, filled with the action and humor we expect from Star Wars, punctuated by moments of connection that enrich these characters we know so well, and holding a few surprise cards up its sleeve. 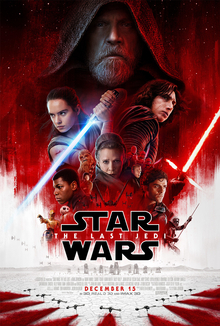 It may be the “safest” Star Wars movie yet, in that it is neither revolutionary nor particularly challenging, without as much to say as earlier films, but it’s an enjoyable ride that combines the new with the familiar in unexpected ways. It’s tough to form an opinion on Avengers: Infinity War. 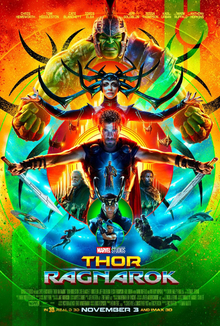 As the culmination of 10 years and 18 movies of building the Marvel Cinematic Universe, it’s more of an event than a film, certainly the most anticipated movie of the year, and probably the most hyped since Star Wars: The Force Awakens. Everything has been building to this, a chance for all (or most) of the characters we’ve come to know and love so far to come together to face the villain that’s been teased since the first Avengers movie. Of course, we’ve been through this before in 2012, though on a smaller scale, with that first joining of Iron Man, Captain America, and Thor as Earth’s Mightiest Heroes, but things have grown so much since then. The scale of Infinity War is such that it’s easy to lose track of the fact that you’re still watching a movie, and a movie that just happens to be the first of two Avengers films a year apart which were filmed back-to-back. Occasionally, Infinity War forgets that, itself, getting lost to exposition or action that feels more like setup for the future rather than its own moviegoing experience. It hops from moment to moment with a feeling of inevitability, as though this was the predestined conclusion rather than a natural or organic culmination of everything that came before. But oh, those inevitable moments are still spectacular, thrilling, funny, and emotional, and when people look back on this Marvel Cinematic Universe experiment, Infinity War will be one of the defining pieces of the grand whole. When I tell people that my favorite director is Steven Spielberg, I tend to get a lot of eye rolls from fellow movie buffs. He’s considered too popular or mainstream, he plays it too safe and isn’t edgy or artistic enough, he’s too sentimental and melodramatic, his only interest is in spectacle, etc. Cinephiles love to hate on the man who is probably the most successful (critically and commercially) filmmaker of the last fifty years, and are often quick to point out alternative artists who they feel has a similar career but does everything better (Christopher Nolan frequently pops up in these discussions). 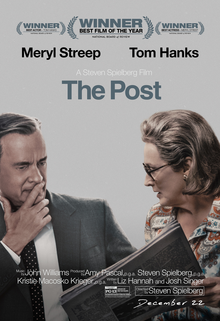 But from now on when anyone brings up these hackneyed Spielberg criticisms I will simply point them to one scene from The Post and ask them to show me another filmmaker who could make that scene any better. I’ve always loved the phrase “more than the sum of its parts,” particularly when it comes to film. Like any view on movies it’s an entirely subjective opinion, but it’s a phrase I’ve been known to use. I appreciate the fact that it so easily communicates a quality that can be unique to film, that sometimes a movie rises above the potentially mediocre pieces from which it is assembled to become something more. We all have movies that feel this way to us, that have poor acting, an uninspired story, or other faults, yet still manages to capture our hearts. However, there is of course another side to this coin. Some movies have wonderful individual moments, whether great acting, an engaging story, or beautiful production design, yet they leave you feeling disappointed, as though they’re wasting the enjoyable bits. 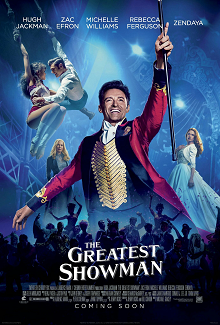 So despite loving much of The Greatest Showman, including its performances, many of its musical numbers, and its message, I was left feeling like it was less than the sum of its parts. I’ve never liked the phrase “so bad, it’s good” when it comes to movies, even though I’ve used it myself. The truth is it can occasionally be the perfect description for a movie that is enjoyable not in spite of its badness but because of it. But I don’t subscribe to the notion of film quality as something quantitative that can be numerically measured, even though we all give grades to movies. I especially don’t think that there’s some hypothetical badness line where once you cross it a movie suddenly becomes good again. There are plenty of bad movies that I genuinely like, but also plenty of “equally” bad movies that are just torture to watch with no possibility of enjoyment whatsoever. But beyond this philosophical disagreement with the idea of a “so bad, it’s good” movie, I’m not a fan of movies that intentionally strive to be terrible with the hopes of crossing that imaginary barrier into the “so bad, it’s good” realm. The Sharknado series comes to mind, which works very hard to be bad in order to try to capture an audience that might be out there looking for the next sublime failure. That sort of thing holds no interest to me. “So bad, it’s good” movies are ultimately a very personal thing, just like all movies are. What I might love in an awful movie someone else might find insufferable, and simply having a bad story, bad acting, bad writing, or bad directing isn’t necessarily going to make something likable. Making a great, bad movie is much more difficult than that, but it also requires a very subjective reaction. 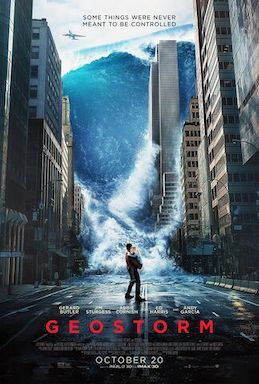 So when I say that Geostorm is dumb, loud, clumsy, and ridiculous, know that it’s an objectively poor film. But when I also say that watching it was one of the most enjoyable experiences I’ve had in a movie theater in many years, know also that I enjoyed it both because of its badness and because of my own personal preferences when it comes to bad entertainment. Everyone has their pop culture blind spots. Some people have never seen Star Wars or read Harry Potter or watched an episode of Seinfeld. (All of those are unforgivable and if they apply to you I demand that you take immediate steps to rectify the situation!… Just kidding… sort of.) One of mine is Agatha Christie. I have never read any of her books nor seen any of the film or TV adaptations of her works in their entirety (I have seen part of Witness for the Prosecution). In fact, the most exposure I’ve had to Agatha Christie is that episode of Doctor Who in which the Doctor and Donna Noble solve a mystery with Christie’s help and end up fighting a giant wasp. But her legacy of tightly-constructed mysteries, brilliant detectives, compelling characters, and her sprawling influence on books, film, and TV for the last hundred years or so is simply inescapable, and I know that some of my very favorite works owe her a huge debt. 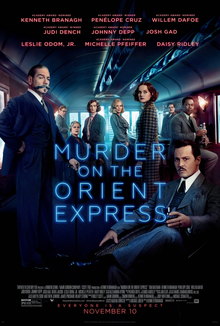 So it was that I went into the new version of Murder on the Orient Express without any Christie-related baggage, lacking any devotion to a previous adaptation of the story or to the original source novel. In the end I found it to be fully enjoyable, with a compelling mystery highlighted by a fantastic cast who are clearly having a great time, set against a sumptuous and lavish backdrop, all solidly anchored by director and leading man Kenneth Branagh. 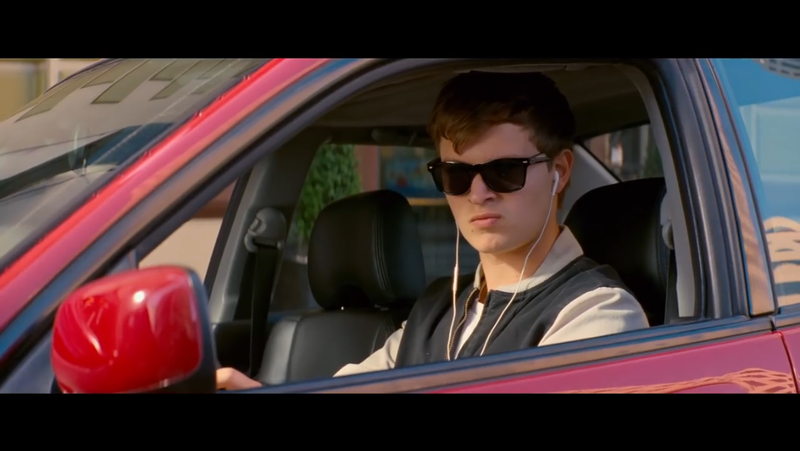 I really enjoyed Baby Driver. Edgar Wright delivered a tightly crafted, exquisitely choreographed thrill ride of a movie, with a killer soundtrack and some of the best action sequences of the year. I loved the eccentric characters, the chemistry between Ansel Elgort’s Baby and Lily James’ Debora in particular, although at times it felt like it was trying a little too hard to be a Tarantino film, particularly with bits of the dialogue. I’m still amazed by the intricacy of the filming and post production work required to make each moment of the film move in rhythm with whatever song happens to be playing on Baby’s iPod. Baby Driver was a solid A film for me, and I look forward to seeing it again as I know I’ll pick up on many details I missed the first time.